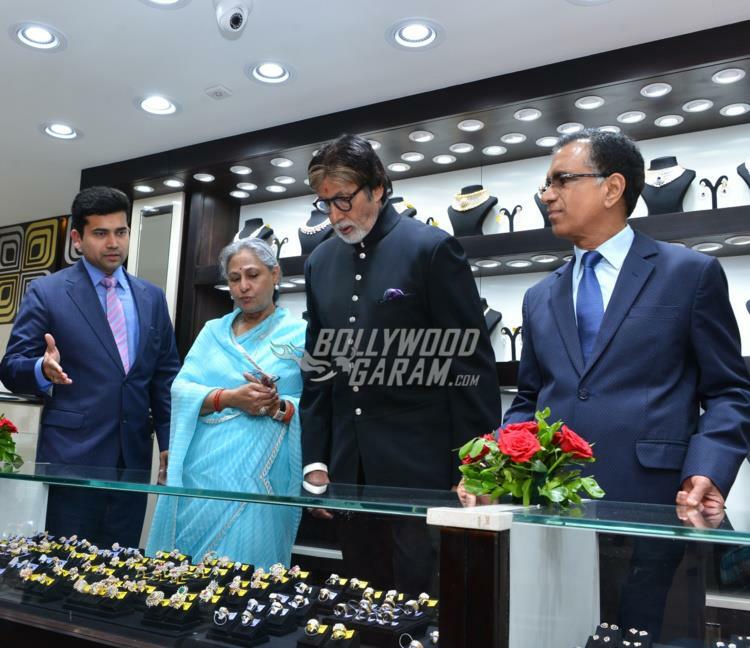 Bollywood star Amitabh Bachchan along with wife Jaya Bachchan graced the inauguration of the Kalyan Jewellers showroom in the city of Bhopal in the state of Madhya Pradesh. 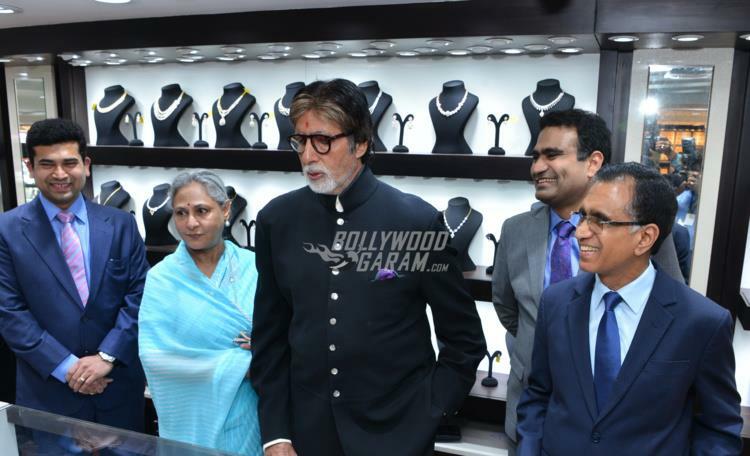 Senior Bachchan is the brand ambassador of the jewellery brand and inaugurated the first showroom of the brand in the state of Madhya Pradesh. 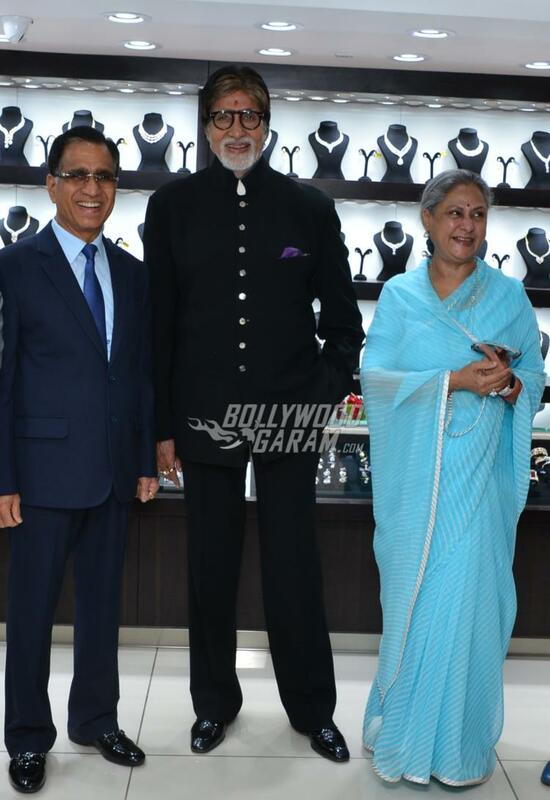 The Black actor looked dapper in a black bandhgala outfit while wife Jaya appeared in a simple blue sari. 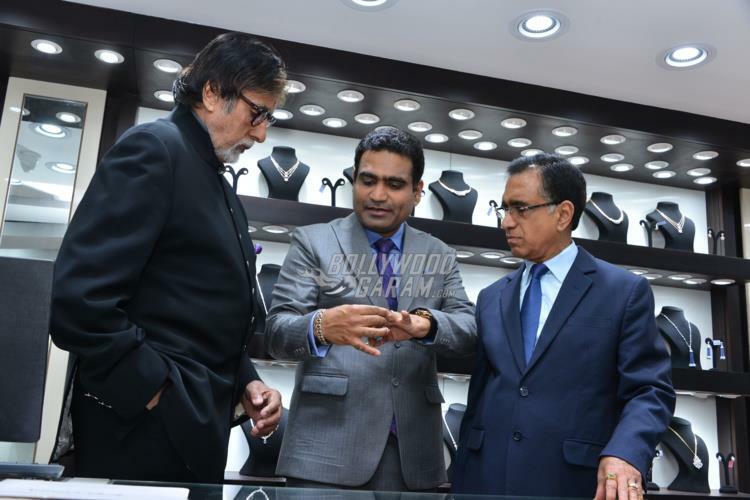 Amitabh during the event talked about his association with the jewellery brand and also appealed to people to remain alert while they are taking selfies. 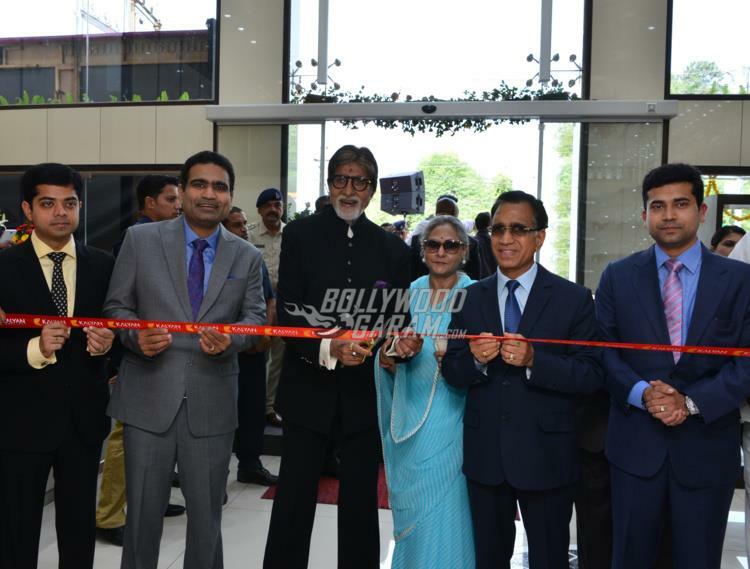 There are many selfie-related deaths reported in recent times due to which Big B advised people to be alert during such activities. 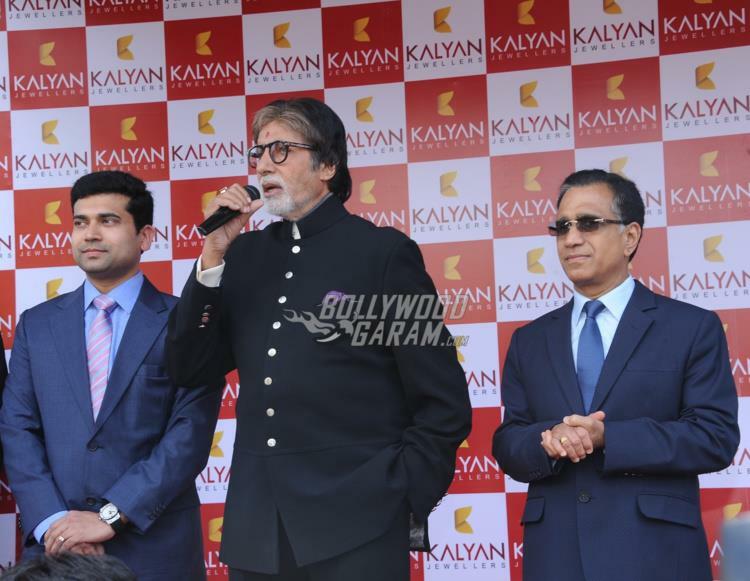 The Shamitabh actor during the event was requested by the organisers to take a selfie from the dias with the crowd to which he said, “Wherever we go, we normally click 10-12 photos, but still we say that one selfie is must…We will also take one with the people here”. 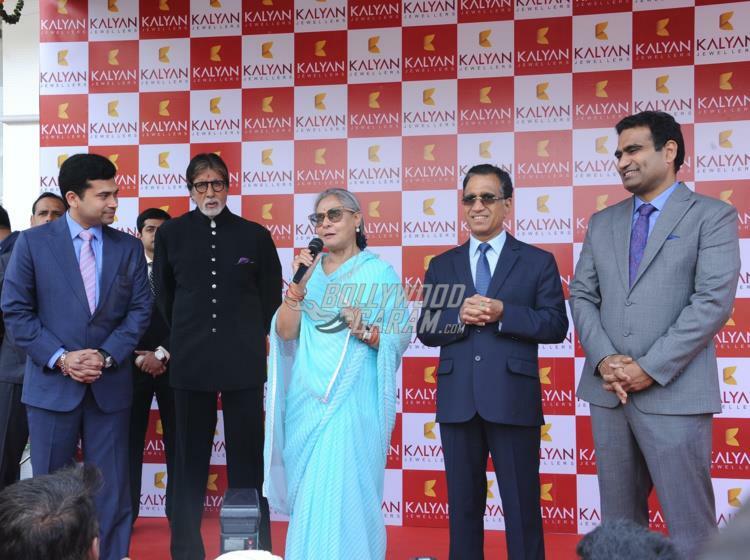 From there the Bachchans left for the city of Lucknow to inaugurate the second showroom of Kalyan Jewellers in Uttar Pradesh. 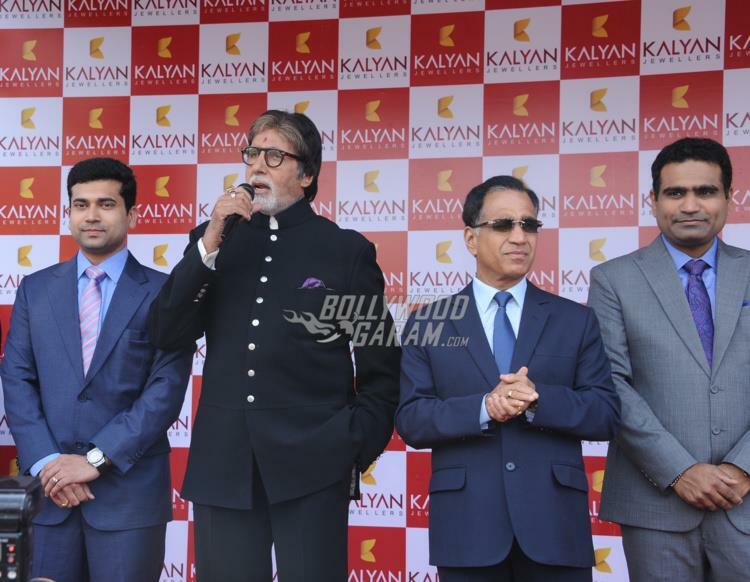 Exclusive photos of the Bachchans at Kalyan Jewellers event, Bhopal!